Scotland's only entry in a leading global conservation competition has won funding of more than £20,000 to address biodiversity loss and deforestation in the Highlands, including through the planting of 50,000 native trees and the creation of habitats that will offer a lifeline to endangered and rare wildlife. Trees for Life's Rewilding the Highlands initiative has won the Alpine category of the 2016 European Outdoor Conservation Association (EOCA) Conservation Vote, securing more than 7,000 votes and widespread social media support in a tightly contested international online vote that was held between 8-22 March. The success will allow the charity to establish one of the UK's most inspiring examples of rewilding. This will involve ambitious habitat creation to support wildlife including pine marten, red squirrel, golden eagle and Scottish wildcat, the planting of 50,000 native trees, and also the annual growing of 10,000 rare montane tree species, at Trees for Life's Dundreggan Conservation Estate in Glenmoriston to the west of Loch Ness. “This is fantastic news for Scotland's Caledonian Forest and its endangered and rare wildlife, as well as for the many people who will benefit from our Rewilding the Highlands project, which is about people as well as places. Our sincere thanks go to everyone who supported us,” said Alan Watson Featherstone, Trees for Life's Founder. 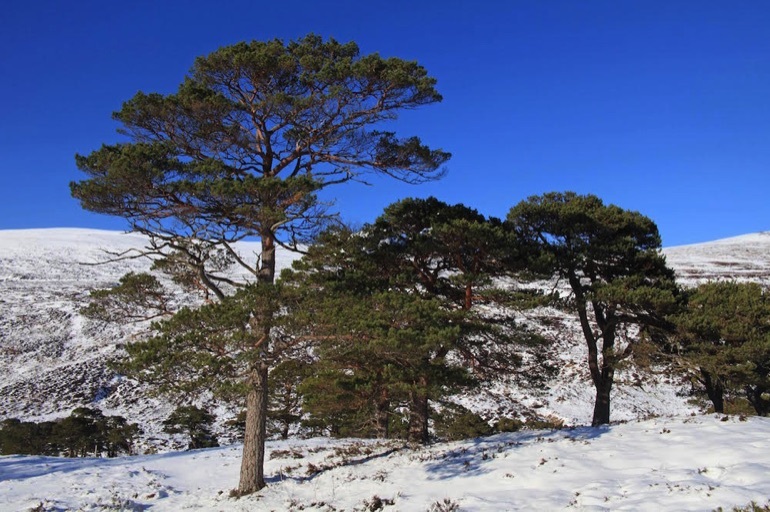 Trees for Life also aims to boost the local and Highlands economy by promoting Glenmoriston as a tourist destination, where people can enjoy the great outdoors and discover remarkable wildlife. Central to this will be Dundreggan, a 'lost world' biodiversity hotspot where more than 3,000 species have been discovered, including 10 found nowhere else in the UK and others that are extremely rare. There will also be opportunities for local people and visitors to get involved in conservation initiatives, and for volunteers from different walks of life to gain training in conservation. Support will be given to a local community project at Invergarry, to enhance biodiversity at its Glengarry Community Woodland. The EOCA Online Conservation Vote attracts huge interest internationally with national media, politicians, presidents and celebrities getting involved. Trees for Life was Scotland's only finalist in the competition's three categories, which also featured projects from as far afield as central Asia, Brazil, The Caribbean, Ecuador, Madagascar and Nicaragua. For more information, see treesforlife.org.uk.